adidas has introduced the newest model of the iconic Energy Boost with an improved fit, look and feel to help runners embrace the road with confidence and style. Energy Boost provides unrivalled responsiveness with heel to toe BOOST™ foam that stores and returns energy to ensure the more energy you give, the more you get. BOOST foam is made of thousands of durable Energy capsules that maintain their soft cushioning season after season so every run with BOOST feels like the first. The new Energy Boost also provides improved comfort with an elegant stretch mesh upper that hugs the shape of your foot and allows for added ventilation to keep your feet cooler during runs. Regardless of the environment you run in, Energy Boost is unwavering. BOOST cushioning remains consistent in any weather condition while standard EVA expands and hardens in varying temperatures. From the sweltering heat to the blistering cold, BOOST maintains its cushioning properties. "Energy Boost allows runners to focus on the path ahead by providing a consistently comfortable and energetic run every time they lace up," said Adrian Leek, senior vice president of adidas running. "BOOST responsive cushioning and the supporting technologies in Energy BOOST eliminate unwanted variables and provide runners with complete confidence." The flexible Torsion System effortlessly adapts to any surface and remains stable through every stride. Two colorways will be available at adidas Sport Performance stores, select retailers and through e-commerce at www.adidas.com/running. 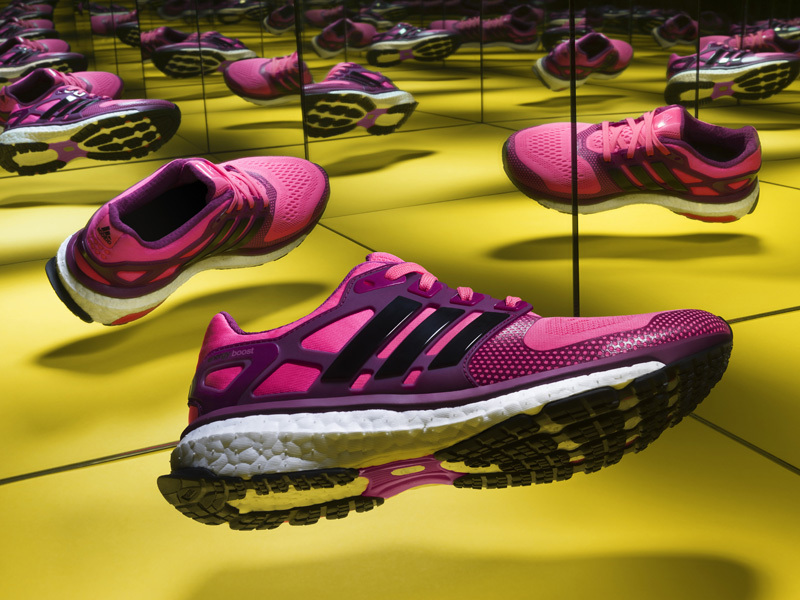 Keep up with the adidas running story by following www.facebook.com/adidasrunning and www.twitter.com/adidasrunning. vibrant style and unmatched energy return. introducing the new adidas energy boost.